W North Fish już świątecznie! 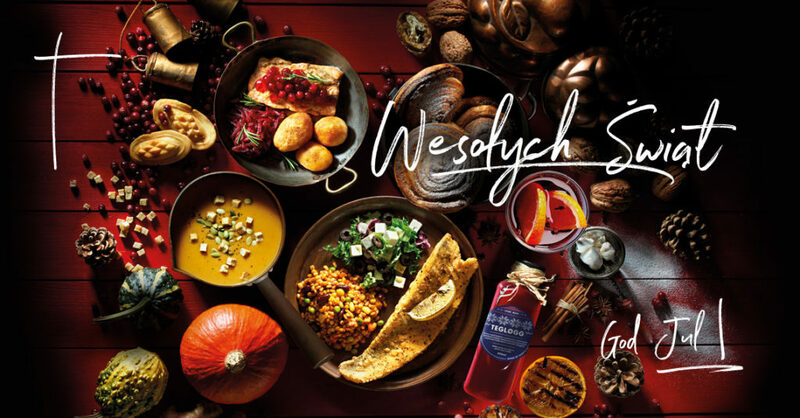 | North Food Polska S.A.
It’s getting colder outside, and we have started the “Merry Christmas – God Jul” campaign in all North Fish restaurants to celebrate this festive atmosphere. The menu now includes a few new meals that will surely surprise and delight the connoisseurs of original dishes. The first one is a formed steak from original Norwegian Salmon with aromatic smoked cheese and cranberry jam. To the fish menu we have added Zander, whose delicate meat has gained exceptional taste in combination with delicate lemon breadcrumbs. Now we also offer a new seasonal pumpkin soup, based on a vegetable stock, served with crunchy croutons and pumpkin seeds. Winter is back and so is our warming drink, TeGløgg – our original winter beverage with cinnamon, cardamom, cloves, apple juice, blackcurrant nectar, lemon and orange, inspired by traditional Norwegian Gløgg served at Christmas time. And what better to go with the TeGløgg than our next novelty – Kanelbolle, a freshly baked cinnamon cake. Our Merry Christmas offer is available in all North Fish restaurants until 07.01.2017.